Relax under the awning n the afternoon experiencing a beautiful sunset and sleep in the comfort of the thick high density roof top tent. Select from their single camper, dual camper and large tourer to suit your next adventure. Live the dream, hire the adventure. 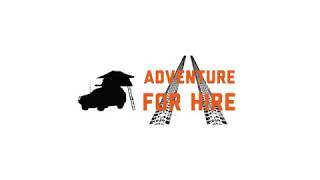 Hire four wheel drive campers and tourers at affordable prices. Their inclusive prices cater for self contained camping and insurances. Get an instant quote online.